Dig deeper into your writing. 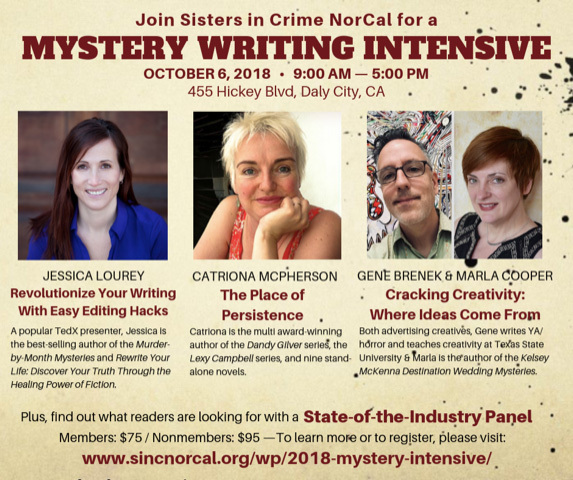 Join Sisters in Crime Northern California Chapter for a full day of craft workshops and discussions geared toward writers at any stage of their journey. Price includes all workshops and sessions, lunch, wine reception, general camaraderie, and even door prizes. MWA members will receive the discounted registration rate of $75. 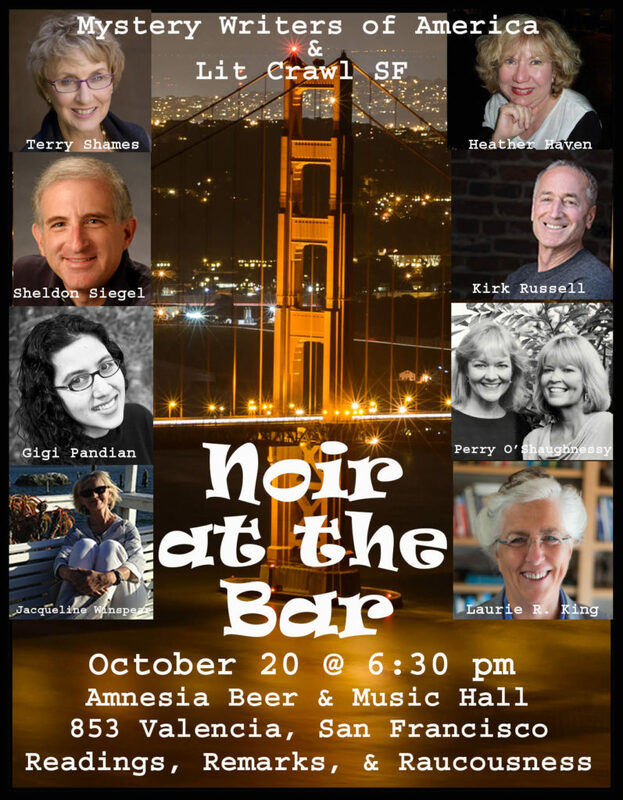 But don’t just come for the Noir–make an entire Crawl out of your Saturday, with all the events of Lit Crawl SF 2018, here.